Robert S. Wilson, author of Shining in Crimson and The Quiet: Rising from Ashes... and Procrastination! Rising from Ashes... and Procrastination! So, as per usual, quite a lot has transpired since I last posted. Perhaps even more than usual. The Bram Stoker Awards® Weekend 2013 Incorporating The World Horror Convention came and went in June. Jen and I went, had a lot of fun, saw some really good friends, met some new ones. I'm happy to mention that one of Nightscape Press's first year titles, Life Rage by L.L. Soares, took home the award for Superior Achievement in a First Novel! Horror for Good did not win in the anthology category, but I'm more than honored that it was nominated in the first place. Of course the convention brought with it many new prospects and relationships and a lot of cool things to look forward to in the future. And let's face it... New Orleans is a hell of a city. Behind the scenes both before and after the convention I wrote and submitted a number of short stories. Some I've received replies for and some I haven't yet. And due to the output and I suppose the sheer luck that some people out there seem to enjoy my work, I managed a number of short story acceptances this past month. The first of which was especially nice. I sold my second pro rate story Memories of Charlie to DarkFuse's new Horror d' oeuvres website alongside stories by Tim Waggoner and Ray Wallace. It's available to read on the site now. 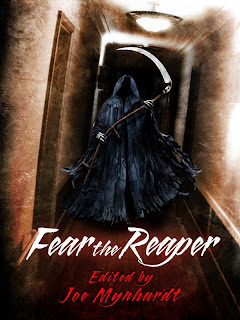 Shortly after that a story of mine was accepted to be included in The Best of the Horror Society 2013 anthology alongside some fantastic authors like Mort Castle, Joe McKinney, William F. Nolan, Jason V. Brock, Richard Thomas, Mercedes Murdock Yardley, L.L. Soares, and a bunch of other great folks. Then I was pleasantly surprised by another acceptance. This time for the Bleed children's cancer charity anthology for my story titled Dreams of Shadows alongside stories by another great group of authors including Bentley Little, Rick Hautala, Mort Castle, Joe McKinney, William F. Nolan, Tim Waggoner, Jason V. Brock, Benjamin Kane Ethridge, Peter N. Dudar, Peter Giglio and SS Michaels, Tracie McBride, and many, many more. 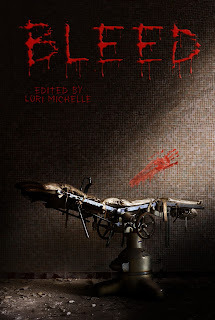 You can pre-order Bleed right now over at Perpetual Motion Machine Publishing's website! an introduction by Gary McMahon and published by Crystal Lake Publishing. The book comes out on Halloween night this year, so keep your eyes open for that one. 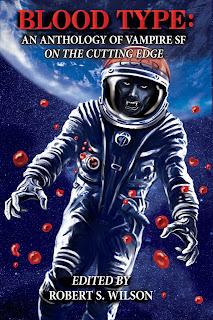 Alongside my story, it will also include tales from authors like Rick Hautala, Gary Fry, Gary A. Braunbeck, Jeremy C Shipp, Joe McKinney, Sam Stone, Stephen Bacon, Taylor Grant, Rena Mason, and more. on Devil's Night (October 30th) 2013. So far, Fading in Darkness seems to be doing well. Reviews are coming in slowly but it's selling quite regularly. And of course most of the reviews that are in are positive. So, if you've read FID by some chance please consider leaving a review on Amazon/Goodreads. It would be much appreciated! In fact, if you give the book an honest review somewhere online, Amazon, Goodreads, your blog, a major review site, etc. 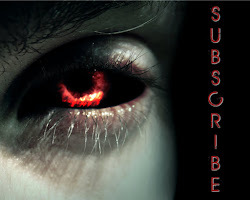 please drop me an email at shiningincrimson@gmail.com and I'll send you a free gift. 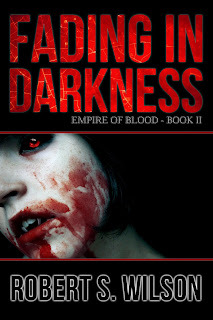 Speaking of, and as the title suggests, I've started writing Rising from Ashes: Empire of Blood Book Three recently. I don't have much yet, but a lot of the book is taking shape inside my head. The trick is to find time to transfer all that out of my brain and onto many pages... We'll see how quickly that goes along. In the meantime, I continue to work on short stories alongside the novel and a two-novella project I'll keep my mouth shut about for now. And finally, my niece gave birth to my great nephew this past week! Our family crowded the hospital room all taking turns holding the baby and getting pictures. Anyway, that's most of what's happened the past few months. I'm omitting a lot mainly due to the fact that it's 2:00 AM as I write this and I've recently learned that my short versions of stories are rather long and tedious, so Carl Sagan forbid I tell the long version!